With the admitted failure of the Nintendo Wii U console, it seems Nintendo is already looking to upgrade both their handheld and their home console in the near future. Some specs for them have leaked out, and they seem pretty plausible, but do take them with a grain of salt. The Fusion DS seems to be the successor of the current 3DS, and it seems to have many of the specs you’d see in a smartphone. The CPU is a 64-bit one based on the new ARMv8 architecture, so that’s a good thing. However, it’s Cortex A53, which won’t be the highest end mobile CPU. It’s in fact intended for low-end and mid-range in the mobile mobile, but my guess here is that they wanted to save as much battery life as possible. Gaming can drain battery fast, so it looks like Nintendo wants to make that a priority. This is also hinted by the large 3,300 mAh battery inside. The GPU should be a decent one. It’s the Adreno 420 that will appear in the Qualcomm Snapdragon 805 SoC, although we don’t know what clock speeds it will be at. I’m a little disappointed here because I would’ve preferred to see Nvidia’s Kepler. Since Nvidia is now licensing its GPU technology to other companies, they could’ve just taken the stock Cortex A53 CPU license from ARM, and then the Kepler license from Nvidia, and pair them together, instead of using Qualcomm’s Adreno 420. The advantage would’ve been not just in raw performance, but in API feature set, too, thanks to mobile Kepler’s full support for OpenGL 4.4. For a handheld console I wouldn’t use anything less than Nvidia’s mobile Kepler at this point. Fusion DS is supposed to be a gaming device, and then it should use the mobile GPU that helps it the most to project that message in the market. Hopefully, they can still change it. I’m actually surprised Nvidia wouldn’t go to Nintendo themselves and propose it to them. I’d be shocked if Nintendo still thought Adreno 420 would be a better deal. The strangest part about these Fusion DS specs is the display resolution, which seems to be the same one iPhone 4 and iPhone 4S had. Why would Nintendo choose that strange iPhone resolution? Are they going to want to port the Nintendo games to iOS? In that case, by the time this device is out, that resolution will already be obsolete and no one will have it anymore. All will have the 16:9 1136×640. But I honestly don’t know why they wouldn’t just switch to 720p at that point, which is the same ratio, but would allow them to promote the Fusion DS as “HD”, while they can’t say that about any of the iPhone-compatible resolutions. Plus, they could port it directly to 720p Android phones, too. Even with great specs and a great price, it’s hard to tell if there’s a market for a handheld console anymore, or at least not one that is tied only to Nintendo’s ecosystem. New generations have been raised without Nintendo games, and all they know is smartphone gaming. So it’s unlikely a game like Mario would drive them to buy a whole handheld console from Nintendo. Since parents are now buying kids smartphones, it’s also much harder for them to justify buying them a handheld console, too. So even if on paper the Fusion DS will look great, it remains to be seen if the market will accept it. We can probably expect this one to come out as early as next year. They wouldn’t use mobile chips that are 2 years old, and both Cortex A53 and Adreno 420 will ship this year. Mobile chips aren’t very expensive so there’s no need to wait for them to get cheaper. >Versions with Disk Drive play Wii U Optical Disk (4 Layers Maximum), FUSION Holographic Versatile Disc (HVD) and Nintendo 3DS Card Slot. >Two versions: Disk Slot Version with 60 Gigs of Internal Flash Storage and Diskless Version with 300 Gigs of Internal Flash Storage. I believe Wii U failed for two main reasons: poor branding and low performance. The poor branding part comes from the Wii U name choice, which makes it sound not like a true next-gen successor to the Wii, but more like some kind of Wii accessory. The fact that it came with a tablet didn’t help, because people assumed the tablet itself is the “U” part, and then there’s just the regular old Wii console. So this name must’ve confused people when seeing how much it costs, and they didn’t think it was worth it. 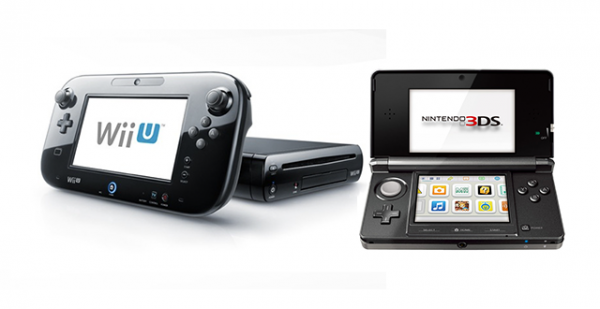 It didn’t help that Wii U was barely any better than the old Xbox 360 and PS3 consoles. Yes, Nintendo was behind in performance with the Wii, too. But then it had a bigger advantage in changing how people play games. But that has worn off on people, and the tablet thing seemed like too much of a gimmick. Since the Xbox One and PS4 were so close to launch, it didn’t seem like Wii U had any real advantage. If the specs for the Fusion Terminal are real, then Nintendo must have learned their lesson, at least when it comes to performance. The GPU comes with a 4.6 TF of performance, which is almost 3x more than Sony’s PS4, and almost 4x more than Microsoft’s Xbox One. The CPU choice is a little disappointing for someone who was hoping for more cross-compatibility between consoles and PCs, but it’s also a continuation of the same kind of CPU they’ve been using in the Wii U. I suppose their thinking here is to keep Nintendo developers on Nintendo’s platform only, and to make it easy for them to upgrade their previous Wii U games. Much like with the Fusion DS, Nintendo seems to be focusing a lot more on GPU performance than on CPU performance, which is again not necessarily a bad choice, unless the CPU ends up being a bottleneck all the time. It seems Nintendo intends to promote this console as “4k-ready”, since it has both a GPU that’s powerful enough for that, and also support for HDMI 2.0, which should help with watching 4k videos. I don’t know if that’s what they intend to do, but instead of having games that look much more advanced than the games on PS4 and Xbox One, they could be asking developers to make all games with the UHD/4k resolution in mind. Most Nintendo games don’t need to be much more advanced graphics wise, so they could easily run at 4k resolution, while still having the same graphics quality of a game on a PS4 or Xbox One. That may not make a lot of sense for TVs that aren’t 4k, but I’m assuming they won’t be launching this console until at least late 2016. That GPU alone should be worth hundreds of dollars right now, and I doubt Nintendo will want to sell the console for more than $300 when it comes out. So that hardware will need 2-3 years to drop in price. By then, 4k TVs should be a little more popular, too. Performance isn’t everything, and I still believe Nintendo will need a special feature to make it stand apart from the competition, and not just rely on its old install base to keep buying the console and the games. 4k gaming might just do it, but I believe VR gaming will make even that look like a cheap gimmick by 2016. Regardless of the performance these consoles are offering, I think they are all in danger of giving the crown for “next-gen gaming” to the Oculus Rift (and PCs/Steam Machines), because that should truly feel like gaming of the future, while the “next-gen” consoles wee’re seeing now are a little more than fancy mid-range PCs, with graphics we were already used to. This a threat Nintendo must not take lightly, because they may not get another shot at the console market if they fail with these two consoles, too. They should be working on offering a great VR solution, or at the very least an AR/projection one that ideally would come bundled with the console, but even as an accessory wouldn’t be too bad. These are the sort of features that will make people truly excited about buying a new console, because they will be playing games on a whole new level, unlike anything they’ve played before. Next: Will we have solar cells embedded in our smartphone touchscreens next? Console needs to be same ARM and GPU as portable so same games can run on both. Since they’ll be using ARM and AMD, which are both going to support HSA, they could take advantage of HSAIL virtual ISA.